This week’s Sweet Little Something is a little morsel from each of us that we would love your comments on. A photograph, a link, a poem…a tidbit of inspiration. Leave us a note or create a haiku for a photograph if it takes your fancy. Have a happy weekend. I love, honour and respect picture books. I adore the funny / poignant / heart-warming messages and morals. But this post, cynically re-titling some children’s classics did make me laugh. Which is your favourite? I’m going to be doing some author visits to schools in the next few weeks and it’s got me thinking about being a teenager and being an adult and whatever happens to us in between. There were times when I was writing my YA novel that I questioned the voice of my main character–was I truly in touch with how teens think and act? Was I just working with a faint memory (those terribly flawed things) and adding in bits I thought sounded good? Judgement is to come–I’ll let you know what the real live teens say. This is her circa 1995. I’m sure you got that from the oversized plaid shirt and the braids. I don’t want this to sound like a list of things an adult is saying you should do, but it might end up doing that anyway. Sorry. Adults often can’t help it. We are advice machines. It’s like a product of having life experience. You have no idea how open your mind is right now. How open to creativity and possibility and impossible things you are. It’s something that gets drilled out of you as you get older, but a lucky few hang on to it. Do that. It will make all the difference. In this one thing, do not grow up. You might think others will think you’re weird or childish, but secretly they’ll wish they hadn’t been conned out of their openness either. And there’s an important difference between childish and child-like. Be the latter. It means you’re still in touch with your innate spontaneity and creativity. And once you let that go, it’s really, really hard to get it back. This next one comes from a book you will write years from now (Yes, you end up being a writer. No, you don’t become a millionaire.) about embracing what you love, no matter what others think: be a geek. It is a secret weapon against so many things: conformity, boredom, apathy, competition… Being a geek just means being enthusiastic about and good at what you love. This is how smart people find their dream jobs. You need to worry a lot less about what others think of you. I’ll admit, this is still a problem for me, and I should know better by now. So start young–get out of the habit of comparing yourself to others and adjusting your behaviour to fit in. Super hard to do, but super worth it. A few quick tips. The guy in grade 11 who you want to kiss: do it. The girl who keeps talking about you behind your back: get some distance from her and realise it’s not actually you, it’s her. Do not wear those maroon pants of your mother’s from 1975. They might be comfortable, but really. Best left for Halloween. Don’t listen to anyone who suggests dreaming is a weakness. Now is the time to dream. This week’s Sweet Little Something is a little morsel from each of us that we would love your comments on. A photograph, a link, a poem…a tidbit of inspiration. Leave us a note or create a haiku for a photograph if it takes your fancy. Have a wonderful weekend! From Hannah: What Should I Read Next? I don’t really require a book recommendation. The pile of books beside my bed I need (yes, need) to read is getting so tall it will soon require engineer designed & approved support. But I was still impressed by this GREAT website that gives you a personalized book recommendation faster than you can say Jack Robinson. You type in the name of a book you like, it has a quick ponder and then spits out a list of perfect books just for you. Ain’t that snazzy? When is it okay to start talking about Christmas? Are you rolling your eyes? Is it less irritating if I am talking about Christmas food? I spotted Christmas mince pies in the bakery this morning and almost did a double take I couldn’t believe the year was vanishing so fast. Which month are we in? November, check. Once I got my head around the slippery, silvery nature of time (I didn’t really, I still don’t believe it) I wondered if it was too early to start slugging down Christmas mince pies. I love these tiny, spiced, icing sugar dusted pretties. My Mum made them every year in teeny weeny muffin tins, a star shaped lid on each pie. In truth I had already started day-dreaming about Christmas mince pies after buying this book for the girls. It is written and illustrated in the style of Beatrix Potter and is about Benjamin and Peter Rabbit saving a pompous turkey from his Christmas dinner fate. I love Beatrix Potter but Emma Thompson (author and super famous actor) & Eleanor Taylor (illustrator) have done such a great job this might be one of my favourite Chrissy books for kids ever. It’s just that charming. At the beginning of the tale Peter Rabbit gets in trouble for knocking over a bowl of Mrs Rabbit’s mincemeat and is ordered out to his Aunt’s to fetch suet…. Suet? I had to look it up… which started a bit of a Christmas mince pie information investigation. Did you know that the pies were supposed to contain thirteen ingredients representative of Christ and his 12 Apostles and some say that if you eat one every day from Christmas to Twelfth Night (6th January) you will have good luck / happiness for the next 12 months? So, what if you start eating one every day from mid-November to Twelfth Night? Hmm. Now that I know what suet is I am guessing you get an extra five kilos to be dismayed about during February?? Ahh, I’m unlikely to be discouraged. I love all things spiced fruit so Christmas food is an irreparable weakness for me. I have serious trouble turning down Christmas pudding and Christmas cake too. Speaking of which and considering the weird nature of time, can you believe I wrote this a year ago? (Still a great Chrissy cake recipe, thanks Mum). How do you feel about Christmas food? Any Christmas rituals you start too early with, ahem, a little too much enthusiasm?? P.S. 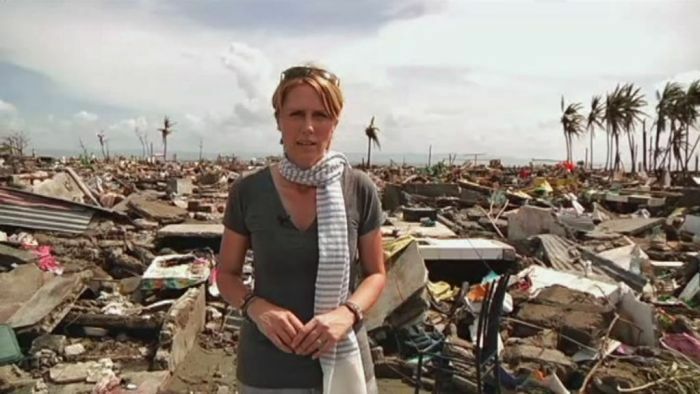 My brave friend, Zoe Daniel, whom I interviewed here for “How She Does It” is currently returning from devastated Philippines. I know it’s the job of this blog to bring you a little joy and light and food-love but seeing as you have met her I thought you might want to know where she has been and what she has been up to. She has had a very challenging job these past few weeks. ABC, her employer, have listed these charities to support if you would like to donate to recovery efforts. Yup, made from the words / content of Heart of Darkness! Litographs unique artworks (on t-shirt, tote, canvas etc) each illustrate a theme, character, or setting from a classic book. Move closer and the text becomes fully legible. AND they’re partnered up with the International Book Bank so each product you buy means one new, high-quality book goes to a community in need. Please, Santa….